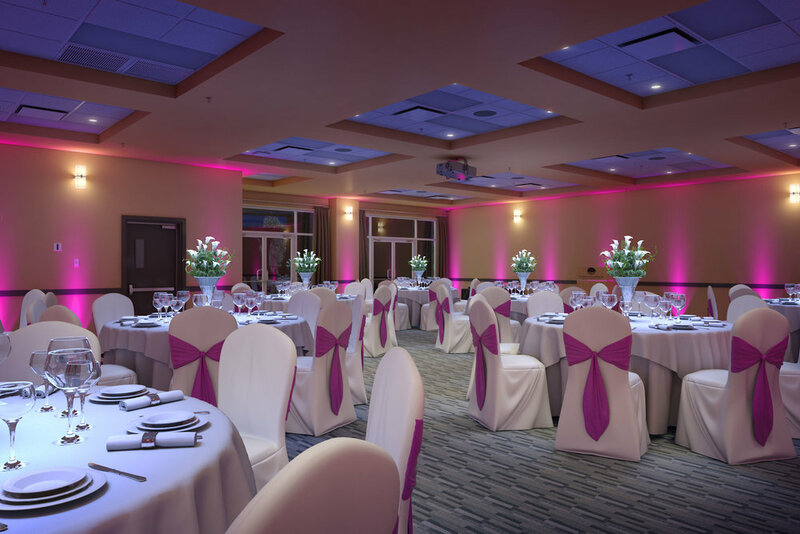 The Beach Club Resort can comfortably hold ceremonies and receptions up to 150 at our beautiful beachfront location. Our experienced Sales and Catering Team will work with you to plan all the details of your wedding. Let us help you personalize your ceremony, reception, catering menu and any special touches that will help you make your wedding day memorable. We want your day to be perfect – exactly how you imagined it! Our Wedding Planner features a list of local suppliers for your every need. Considering an alternate day of the week for your wedding? Weddings held Sunday through Thursday receive 15% off venue rental. Excludes holidays. Valid through 2019. Our Wedding Catering Menu features a wide variety of dining selections that will make your reception an event to remember. Our experienced Sales and Catering team will work with you to plan all aspects of your wedding ceremony and reception, your personalized catering menu and any special touches that will help make your wedding memorable. We pride ourselves on bringing the vision of your perfect wedding to reality, so join us for your big day! Please fill out the online meeting RFP and friendly and knowledgeable member of our sales team will personally contact you.